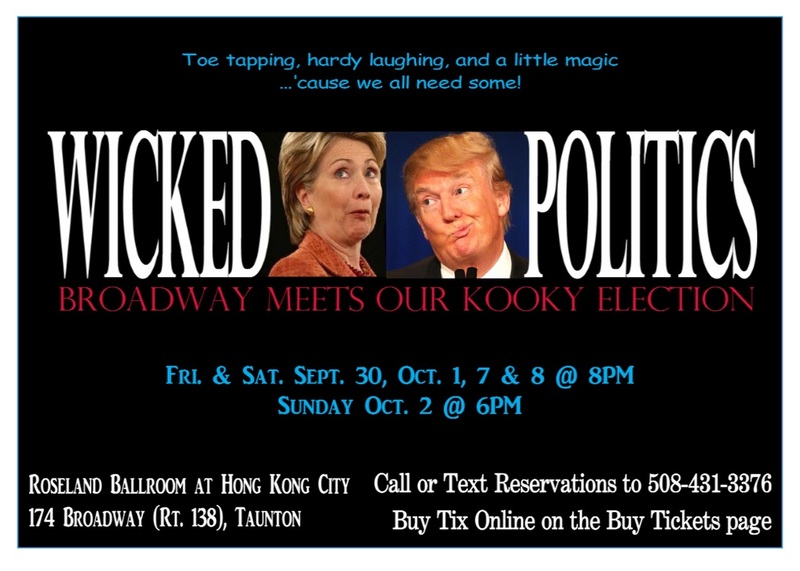 In this bizarre and often unbelievable campaign season, Rogue has come to the rescue with an original evening of sketches and Broadway numbers designed to poke fun and find the humor in both of our current candidates. Leave your party affiliation at the door and prepare to laugh at two candidates that could make you cry! Come join in the fun as we indulge in a family game night on steroids! Get in on the act or just enjoy the laughs as your favorite games are "Rogue-ified." Doors open at 6:30PM on May 21 for the open bar and silent auction. There will be tons of cool stuff to bid on. An optional Chinese buffet will be available at 7:00PM for $12. The games begin at 8:00! All tickets are $20. Come support Rogue Theatre and bring your friends to this one night only event. We will sell out so make your reservations today! RRogue Theatre Company,for two nights only, presents “The Bonds of Marriage” an evening of magic, illusion, and the amusement of marriage, featuring magician Adam Bond, and his wife, actress Victoria Bond, directed by Rogue Director John Beausoleil, on Friday, June 27th and Saturday, June 28th at the Roseland Ballroom function hall, located at 174 Broadway, behind Hong Kong City Restaurant on Rt. 138 in Taunton, MA. Beginning at 7:00 PM there will be Cash Bar and an optional Chinese Buffet offered by Hong Kong City for $12 per person. The Show will begin at 8:00 PM both nights. Tickets are $20 General Admission, ($18 for Seniors and Students), with cabaret style seating. Tickets may be purchased online by clicking the Buy Tickets tab above, or reservations may be made by calling or texting Rogue Box Office at 508-431-3376. “The Bonds of Marriage” reunites the team who created “Fun-de-Mental,” the unique Rogue magic and mentalism production, that featured the talents of The Bonds, and was directed by John Beausoleil. This new production will focus on relationships, using the love story between Adam Bond, an attorney who enjoys magic, and his wife Victoria Bond, an accomplished actress, performer and director, who have been partners in life for many years. The show will take you on a journey through their relationship, and shed light and humor on yours. The show will use magic and comedy to tell the story of the not always so calm relationships between couples, including that initial meeting, dating, falling in love, getting engaged and married, and bringing children into the world. Come share a few tricks with us and a good laugh at the relationships we find ourselves in as people in our search for love and companionship. Sound and Lights are provided by WW Lighting of Raynham. 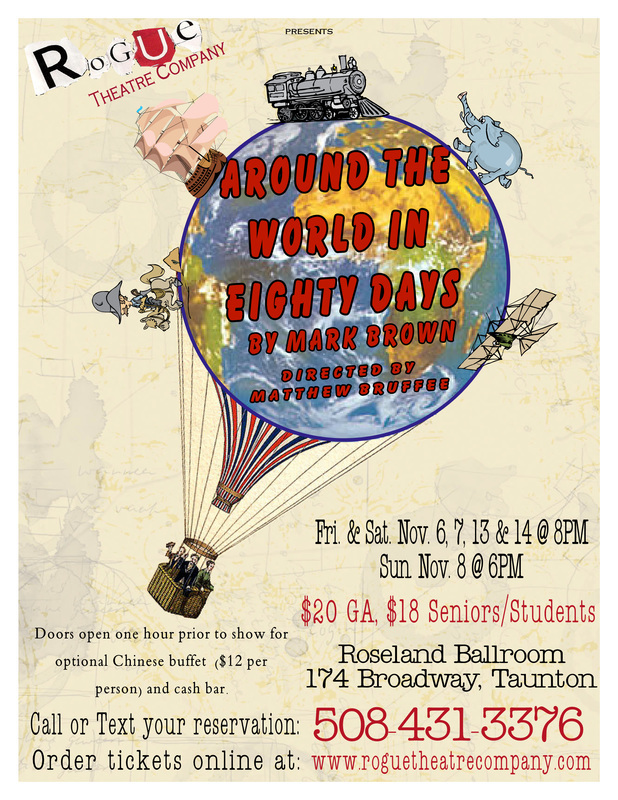 Both nights of this production will feature A Silent and a Chinese Auction with many items from local donors gathered by Auction Coordinator Donald DuBois. To view some of the items waiting to be won, click the Auction Items tab above.